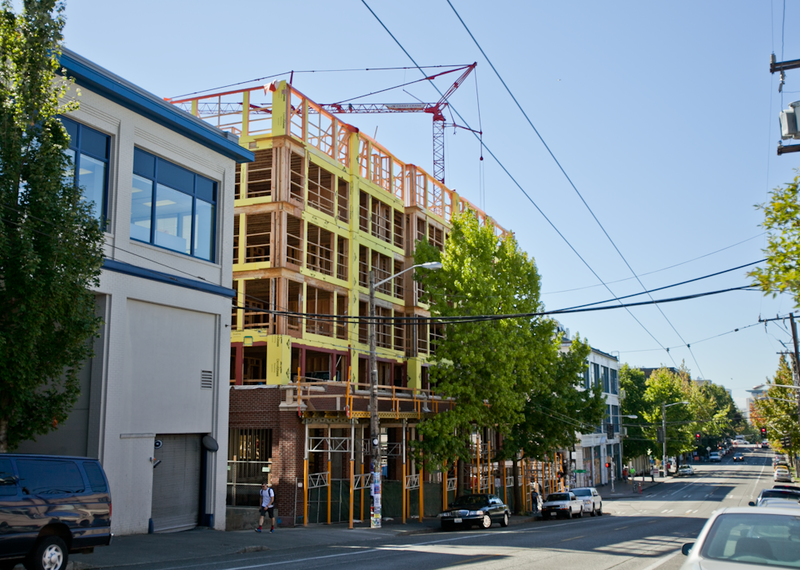 It’s been about a year since we’ve posted an update about our project at 11th and East Pine Street in Capitol Hill. Sunset Electric – named after the original 1926 structure which once housed an auto electrical supply showroom (and later a sporting goods store and an auto spray shop) – is roughly two-thirds through construction. Demolition (see our previous post about the project) took us through February of this year, and the laborious process of reinforcing the existing historic structure spanned about four months. Now, five new levels are rising above the existing Sunset Electric facade. 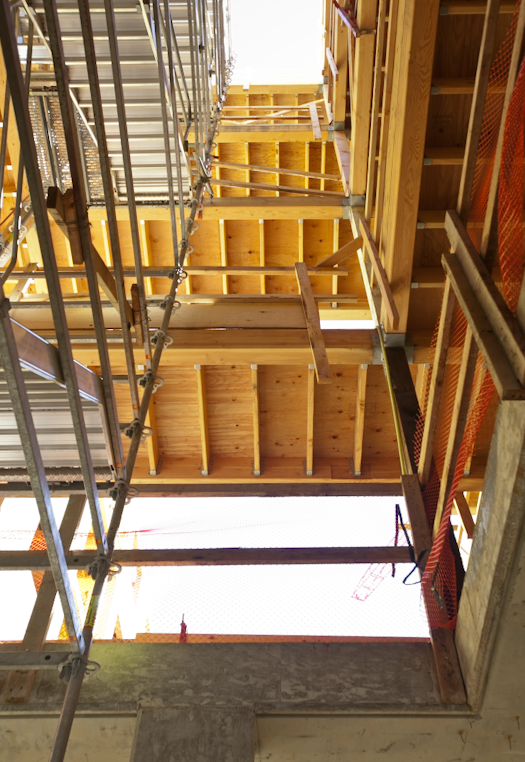 We had an Owner/Architect/Contractor (OAC) coordination meeting a while back and took the opportunity to snap a few photos to share an update. The project includes a variety of interesting techniques and methods that you don’t see every day, so it’s a great example of the extra effort and coordination required for a project of this type. 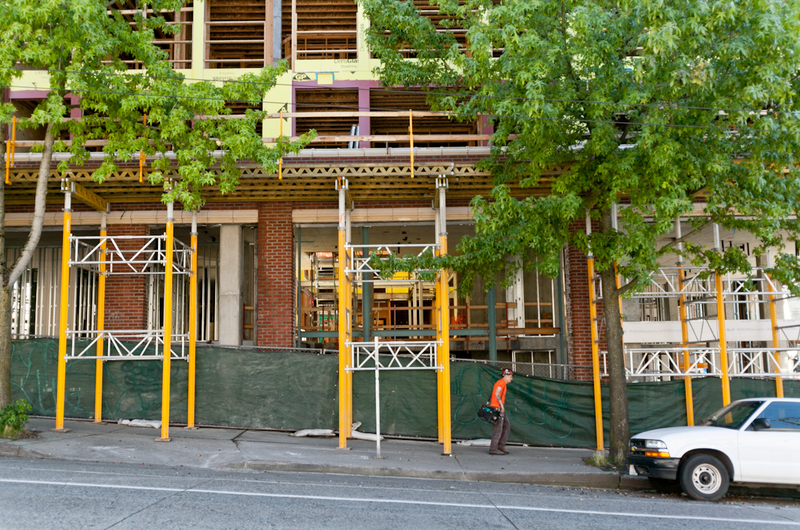 The project is one of the first to participate in the Pike/Pine Character Structure overlay, which retains building facades that are 75 years or older in Capitol Hill that might not qualify for landmark status but contribute to the historic “auto row” character. The connections between old and new can be tricky, and the goal is to finesse the connections in a graceful way. 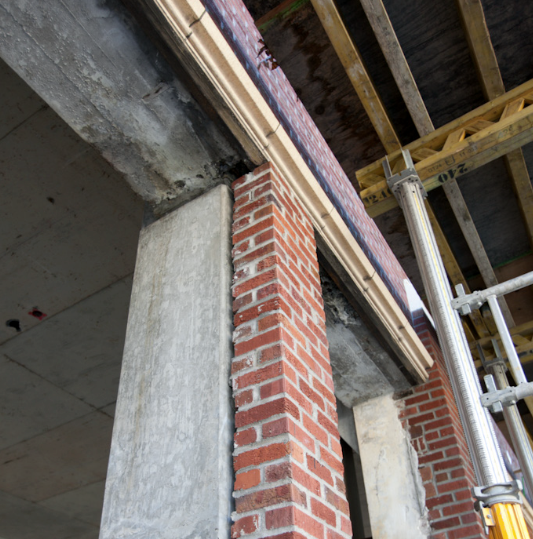 This photo shows a brick pier that was originally self-supporting. It was disassembled and re-assembled after a concrete column was poured directly behind it. 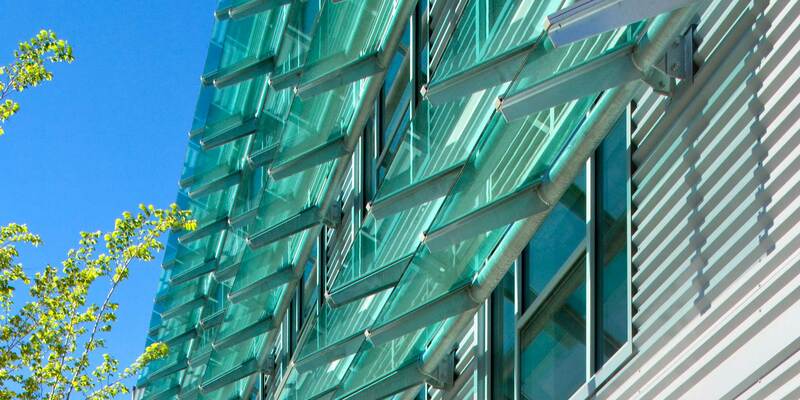 When complete, the aligned profile of the two, as seen through the ground-level storefront glass, hopes to looks intentional. 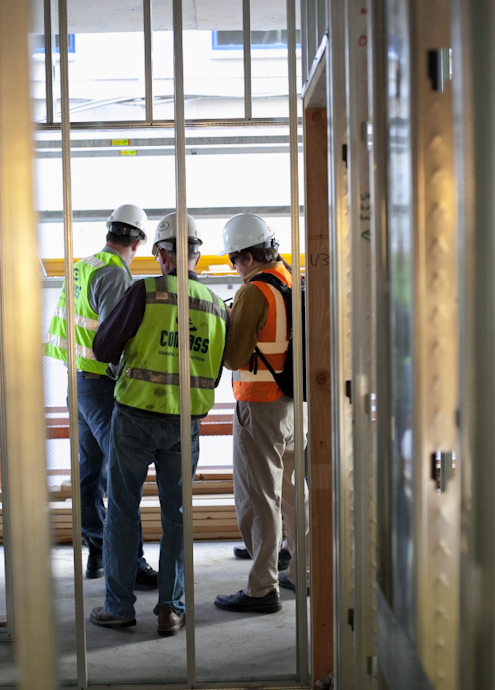 Coordination in the field is required for every project in order to sort out potential issues such as conflicts in the location of electrical, plumbing and mechanical installation, and to see in person the intersections that are hard to depict in two-dimensional drawings. 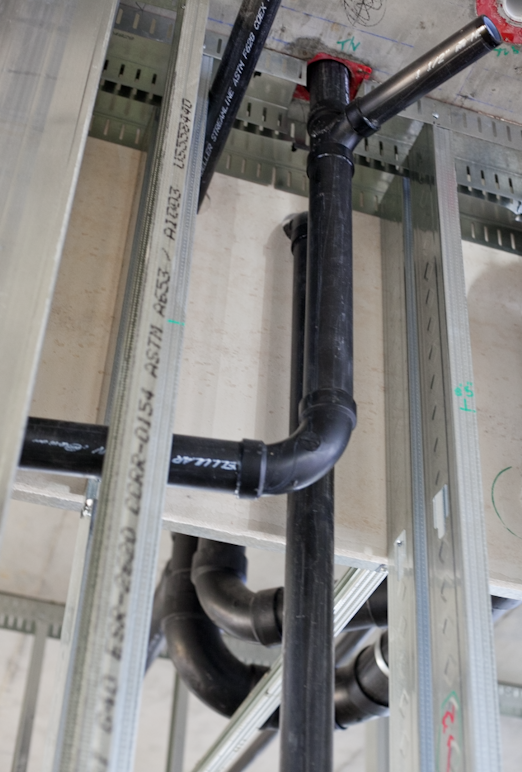 For this project and others which leave concrete ceilings exposed, the location of plumbing must be carefully located within soffits, or you could end up with unsightly pipes and conduit exposed in unexpected ways. It’s not only an aesthetic concern, but it’s also a tenant comfort issue. Hearing the upstairs toilet flushing while you’re cooking dinner isn’t the most appetizing thing. The exposed steel “catwalks” in the courtyard are a unique aspect of the design of this building. 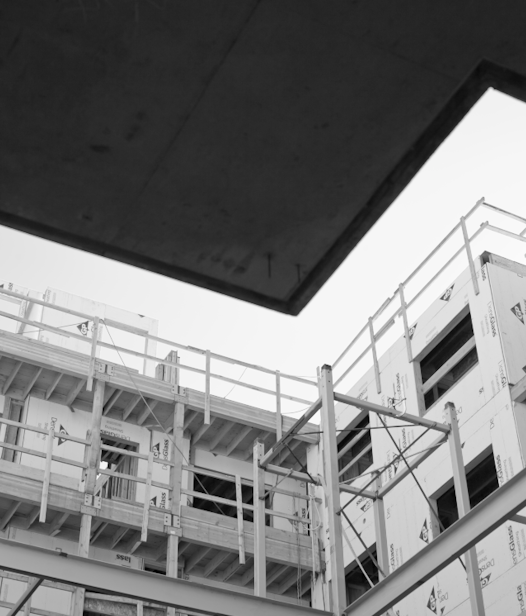 By moving the corridors to an exterior courtyard of the building, the project eliminates heating and pressurization of that space — a significant portion of typical multifamily energy loads. 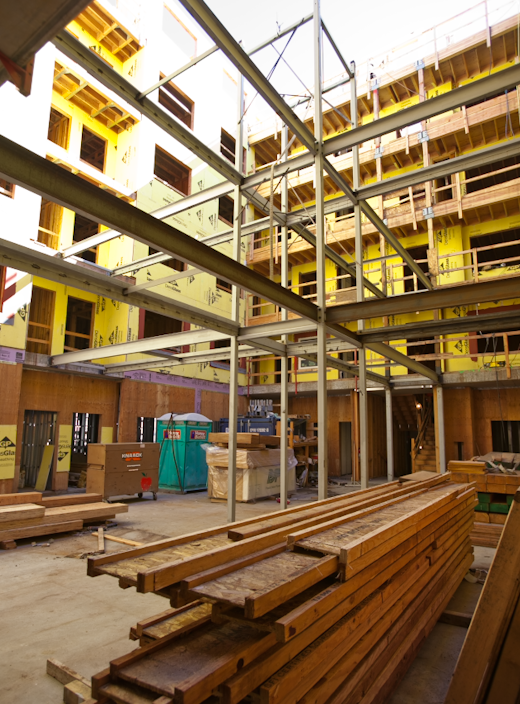 This steel requires a protective coating to be fire resistant; the courtyard will need to be tented and kept at a constant 70 degrees when the coating is applied to ensure proper curing. A finish coat of paint will then be applied for weather resistance and aesthetics. The stair opening currently has temporary scaffolding which will later be replaced with permanent stairs. The elevator is also located in the courtyard, and will open into exterior lobbies, which is a rare feature for Seattle mid-rise multifamily buildings. Tenants of this building will enter an open gate on E. Pine Street, head through the lobby, head upstairs by stair or elevator, walk through the courtyard, and won’t be “inside” until they enter the front door of their living unit. We live in a mild climate, and the project embraces the outdoors. Interesting geometries are emerging in the courtyard. The mix of primary construction materials (concrete, steel, and wood) and the finishes, patterns, and plantings will offer a pleasing scale and texture to the courtyard space – the heart of the project. One of the design ideas – reinforced in the public Design Review process – was the ability to catch a glimpse of the courtyard as you walk by the building on E. Pine Street. Stay tuned for another update about the project, or take a walk past the site to see the progress for yourself. Construction will continue well into Spring 2014.